Welcome! 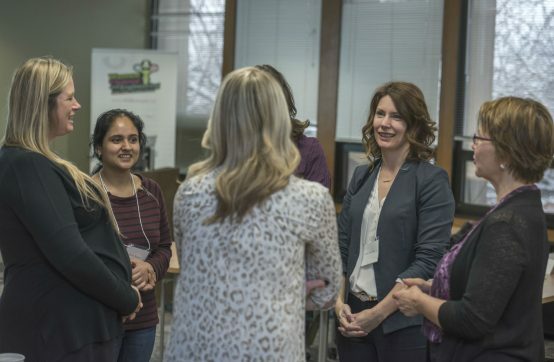 WISEatlantic supports and connects women working in SETT fields through professional development opportunities, networking events, and more! Below, we feature upcoming events, online resources, and recent reports. If you are interested in becoming a role model for girls in junior and senior high school, sign-up at the bottom of this page. Join us May 30 & 31 at the School of Sustainable Design Engineering at UPEI for the 3rd biennial Atlantic ConnecTions Conference! The Atlantic ConnecTions Conference provides an opportunity for individuals and organizations from Atlantic Canada to work together to tackle the advancement and retention of Women and gender minorities in the Science, Engineering, Technology and Trades (SETT) workforce within industry and academia. Women, gender minorities, and their allies from a cross-section of industry, education, government, and not-for-profit organizations are invited to participate in the conference. We are pleased to offer substantial sponsorship for female students and apprentices in Science, Engineering, Trades, and Technology fields, in the Atlantic Provinces to attend workshops within the WinSETT Leadership Program Series. The WinSETT Leadership Program is built upon the experiences of Canadian women and is the only Canadian program focused exclusively on women in SETT. The Leadership Program features six full-day workshops run in pairs over several months. For more information on the Leadership Program Workshops, visit http://www.winsett.ca/programs/leadership-program. Click schedule on the right hand side to see a list of the current offerings. 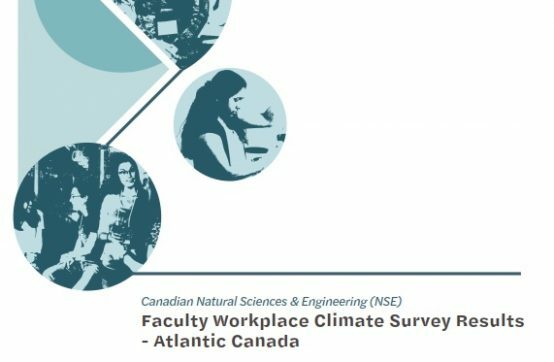 In the summer of 2018, we surveyed faculty at several Atlantic Canadian universities in Natural Sciences, Engineering, and Computer Science departments about their workplace climate. This research survey was conducted in partnership with NSERC CWSE Dr. Annemieke Farenhorst and her team at the University of Manitoba. On May 3-4 2017, the 2017 Atlantic ConnecTions (ACT) Conference brought together over 100 women in SETT from Atlantic Canada to share their experiences of studying and working in male-dominated fields, to network with others, and to develop action items with the goal of advancing women in STEM. Read the full report, or visit atlanticconnections.ca to learn more! This journal article examines how doctoral students make sense of the preponderance of men at the faculty level despite increasing gender parity among students. Find more articles, websites, reports and more by visiting our resource page!